If you’re reading this article you might already know that EDM stands for Electronic Dance Music. The styles range over a wide gamut of music, from House to Dubstep, Drum-n-Bass, and IDM (Intelligent Dance Music). While the specifics of each style are extremely diverse (even within different styles there are dozens of sub-styles) — certain attributes remain consistent. If you’re just getting into EDM, or just want a fresh perspective on it, this article should offer some food for thought. The purpose of EDM is to make people dance. Period. The rhythmic elements and the movement of the record are sacrosanct. Once you find the pulse of the record, you make that as clear as possible. That means pushing the rhythm elements way up, exaggerating any kind of pumping movement and articulating the attacks of anything that is outlining that rhythm. In addition, it’s best when people not only hear what they want to dance to, but feel it as well. One of the biggest challenges with EDM is packing that heavy bass into the mix. The first key is to remember that physical bass is a much wider range than just the sub. In fact, club systems tend to be very unreliable when it comes to the sub range. Pay special attention to what’s happening between 80 Hz and below 300 Hz. There’s a still a lot of physical bass there, and a little love in that zone can go a long way. In fact, most instruments have “physical” ranges. For a snare, you might be looking at 100 Hz – 500Hz. For a hi-hat you might be looking at 1 kHz. To say exactly where the physicality of a certain sound exists is almost pointless – it varies widely. But when you feel it, you know. The difficulty in physical sound — and I know a lot of engineers are going to shoot me for saying this — but the difficulty is that club music needs to be loud. Only so much energy can fit into a limited space, so picking and choosing how to maximize your bang-for-the-buck in terms of headroom is one of the biggest challenges in EDM. Sometimes it’s a lot more productive to trigger a sine wave or use a bass enhancer on a kick drum, rather than simply boosting the low end — as you can get a little more “perceived” bass without running the headroom. And equally over-extending compression or distortion to gain perceived size is also worth experimentation. Ideally, all club systems would have tons of clean amps with DJs who know how to not overload the speakers, who could then turn the club amps up and keep their mixers down. But that’s not the world we live in. So until then, club music does fall under the jurisdiction of the loudness police. Sound design is extremely important in EDM. Producers work tirelessly to craft new and exciting sounds and textures. So pay special attention to that! A really cool sounding, catchy lead line will make or break a record — so if you are mixing someone else’s stuff you have to acknowledge and compliment those textures. If something sounds weird or off, catering the rest of the mix around that sound is better than suppressing what the producer worked very hard to create. Likewise, designing the ambiance is also extremely important. It’s important to create a sense of space and environment, as long as it isn’t impeding other elements in the mix. Taking a little extra time to really analyze the texture and timing of your reverbs and delays is well worth it. Do not fear automation! EDM = automation. Half the arrangement is based on the changing of textures, sounds, and levels. Moving filters, rising pads, pumping bass, any and everything constantly morphs from one thing to the next. If you’re producing, change those dials in real time. If you’re mixing, think of the music as a kid, and you are helping him cross the road. Lead each moment into the next. As one element drops out, another may come up in its place. Through EQ you can match the new element to the old one, so the energy of the former is handed to the new like a baton. If something bright suddenly drops off, and nothing picks it up, the result will not feel like a cohesive transition. Sometimes that’s what you want, but usually not. If you do want to move into a section that strips down, it’s often better to have elements fade away, rather than clean stop. So if you’re moving from a bright section to a dark one, a fading white noise might be smoother than simply a jolting change. In terms of image, mix in mono. Not all club systems are stereo — so if your mix doesn’t work in mono, it won’t work in a club with mono playback. This isn’t to say you need to bow to mono functionality — but lay off the wideners. If you need a sound to be wider, don’t fake it or force it. Use another element panned out one way. 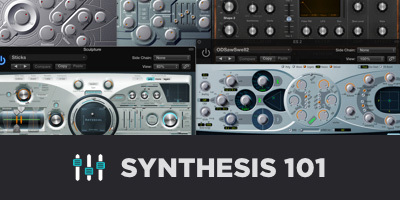 Wide stereo synths are much narrower than separate mono elements panned apart. If you want wide, you have to produce it that way, not mix it that way. Let your leads live in the center. 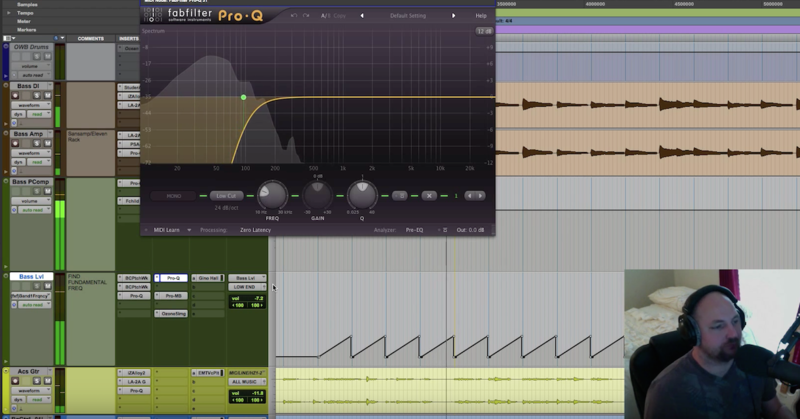 Use reverb, delay, and other elements to fill out the side information. This way if you lose it, you haven’t killed your record! This article is very stream of consciousness. I hope people comment and ask questions below as there are probably a million more things that could be said on the subject. But in the mean time, this should provide a few basic concepts that will step up your game when producing EDM. Take your EDM mixes and productions to the next level with Mixing EDM. Includes 4+ hours of tips, techniques and approaches for mixing EDM, including drops, transitions, vocals, kicks, bass, synths and more — with three different songs as source material. 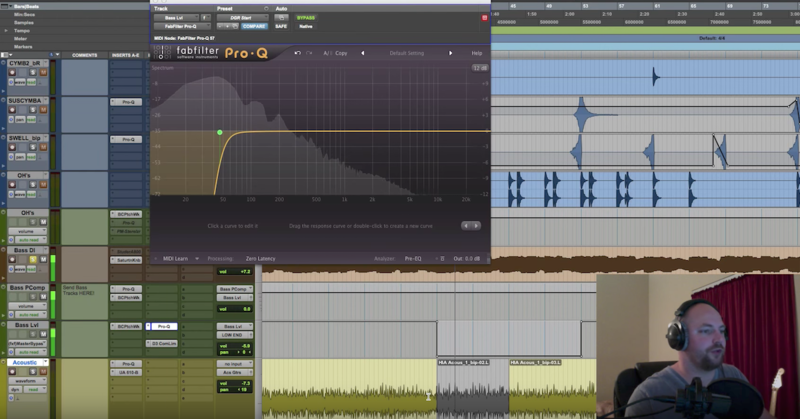 There’s also multitracks for you to practice with and a 40 minute mastering interview with the legendary Chris Athens.